Posted on April 30, 2014 at 3:07 pm. David A. Souers, AIA, ACHA, ASHE and Dan Gallagher, RA, attended the 2014 PDC. Our firm has taken advantage of the hospital tours, professional contacts, educational seminars and vendor exhibits at the PDC since 1994. In 2002, Optimus submitted and won a VISTA award for for the project team, for the Neugarten Family Birth Center at Northern Dutchess Hospital. 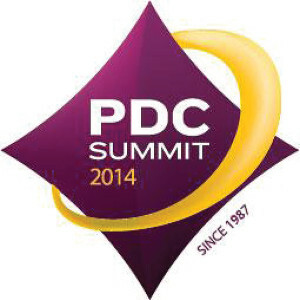 The PDC is an annual event for us. Each year different Optimus staff members attend. Though Infection Control Risk Assessment has been a Guidelines and health code requirement for many years now, principal architect, David Souers, found the eight hour long “Infection Prevention” course an excellent refresher taught by the best experts in the field. Optimus has already shared the course handbook and the Infection risk assessment form used at Dartmouth-Hitchcock Medical Center with some of our hospital clients. We encourage all healthcare experts to attend this program for your benefit, for your staff and patients and for the health care community at large.